To be quite honest, while I liked the story, it could've been better. All the things that Charlie goes through are relatable, but I never really felt a connection towards her. 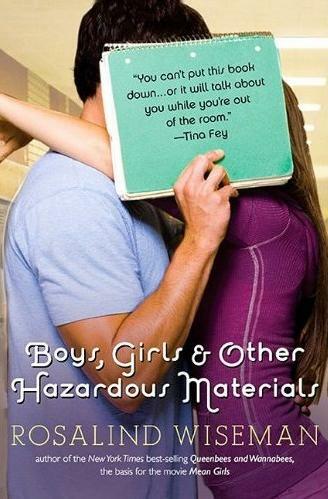 The book deals with typical high school- freshman year topics. There's finding new friends, crushes, repairing old bonds, jocks, fitting in, favorism, etc. It's a bit predictable, but let's be honest, so is high school! There are parts I liked! For example, Will! I adored the parts where Will and Charlie reconnect with old childhood stories. Those were hilarious. Also, I enjoyed Sydney, Nidhe, and Michael. They're the kind of friends everyone wants! To wrap this up, I guess I just had certain expectations that the book didn't meet. Like I said, while I liked it, there are better books out there. Please remember, this is just my opinion! A couple of my Goodreads friends rated it 4-5 stars. It's really up to you. Don't let me stop you if it's something you've been dying to read! Anyway until next time, this is BAG (Book Addict Girl, lol) signing out!